Due to tremendous popularity, Dennis Cassinelli’s 1996 book, Gathering Traces of the Great Basin Indians, completely sold out. Now, Cassinelli delivers a wholly revised and updated second edition featuring clear, digital-quality photographs, a brand-new chapter examining the 10,000-year-old Spirit Cave Man mummy and a fictional story titled Making Arrows. 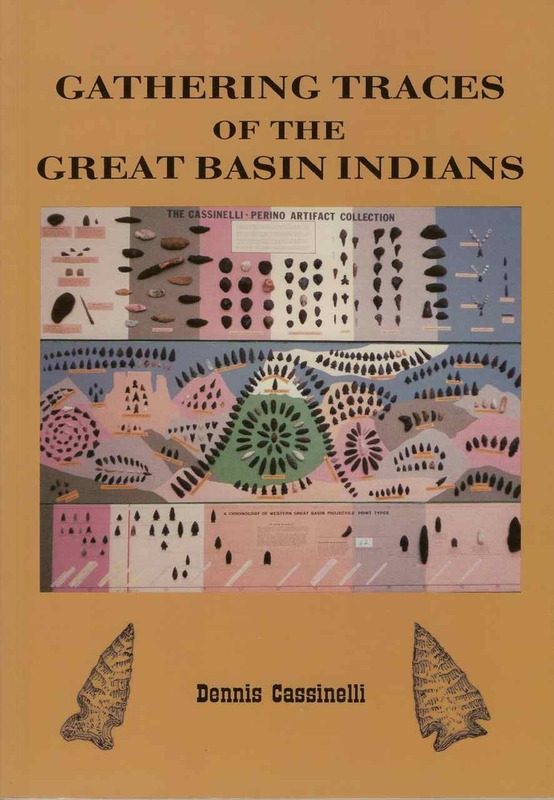 The book also includes many detailed pen-and-ink drawings of Great Basin Indian artifacts; a fold-out chronology chart showing projectile points across a 12,000-year time scale; and copies of Nevada State and Federal laws governing the possession and collection of Indian artifacts. Folsom College in Folsom, Calif. used the first edition as a required text for its Great Basin Archaeology course. Use this updated second edition to identify the arrowheads in your own collection and to learn more about the vast history of the Great Basin. Learn more about the Cassinelli-Perino Artifact Collection, a permanent display of Native American artifacts at the Carson Valley Museum and Cultural Center in Gardnerville, Nevada.